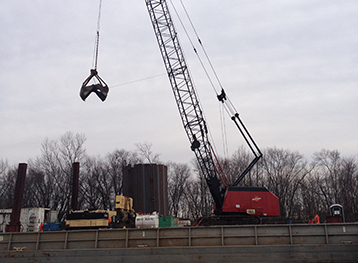 Aquarius Marine was the Prime Contractor for the demolition of four sheet pile mooring cells and the construction of two new sheet pile mooring cells for Gallatin Steel on the Ohio River, in Ghent, Kentucky. 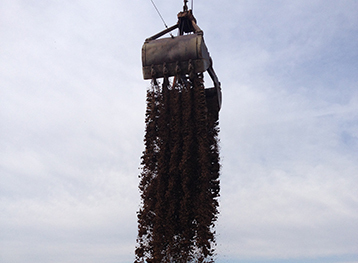 The new 23’ diameter cells were constructed using PS27.5 steel sheet piling up to 65’ long, were filled with aggregate, and topped off with a reinforced concrete cap. Bumper plates and mooring rings were installed on the exterior of the cells to complete the project. 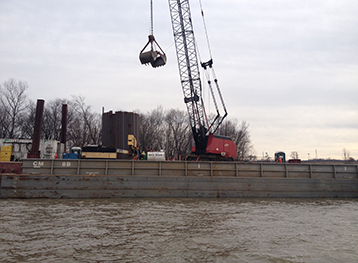 All work was complete from a floating plant on the Ohio River.